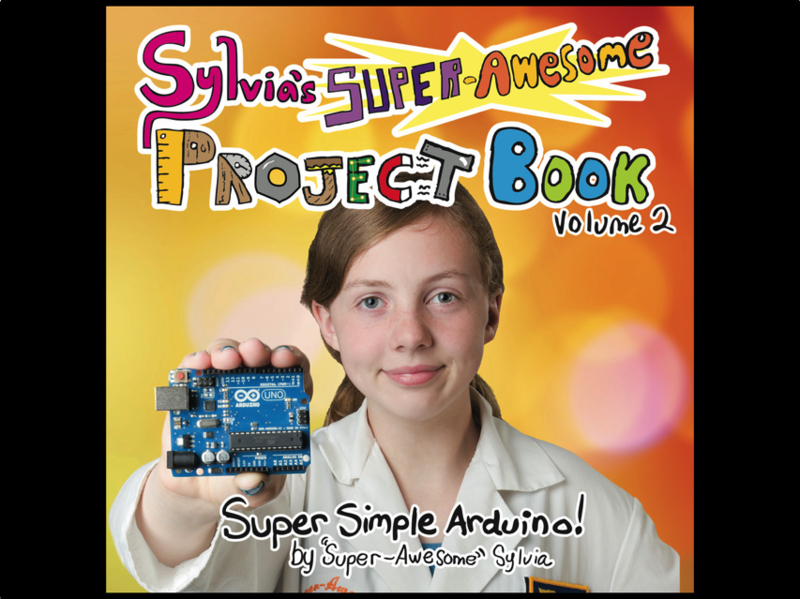 NEW PRODUCT – Sylvia’s Super Awesome Project Book – Super Simple Arduino! « Adafruit Industries – Makers, hackers, artists, designers and engineers! NEW PRODUCT – Sylvia’s Super Awesome Project Book – Super Simple Arduino! Sylvia’s Super Awesome Project Book – Super Simple Arduino is a book written and illustrated by young maker superstar Sylvia. Sylvia’s a kid who loves making, tinkering, and art projects. She’s also the star of Sylvia’s Super-Awesome Maker Show – an online series about STEM concepts with millions of views. In this book, Sylvia sets her sights on the inimitable Arduino microcontroller with fun projects, clever and easy-to-follow instructions, and whimsical graphics. It’s a great book for young makers and an incredible way to introduce makers of all ages to the wonderful world of Arduino. Comments Off on NEW PRODUCT – Sylvia’s Super Awesome Project Book – Super Simple Arduino!